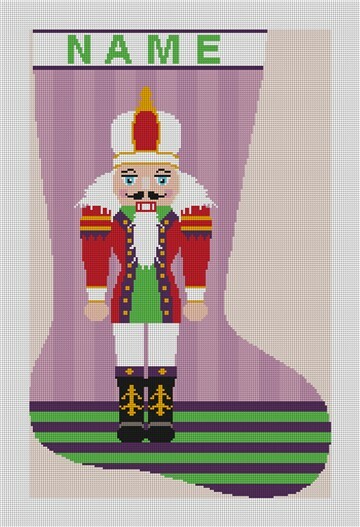 Show off your skills and stitch a personalized needlepoint nutcracker stocking this Christmas! This design features an elegant nutcracker with a simple striped background that is ripe for customized stitches! Our personalized designs include the name on the canvas, so be sure to put it in the notes on your order. We will email you a preview before we make your canvas for your approval.